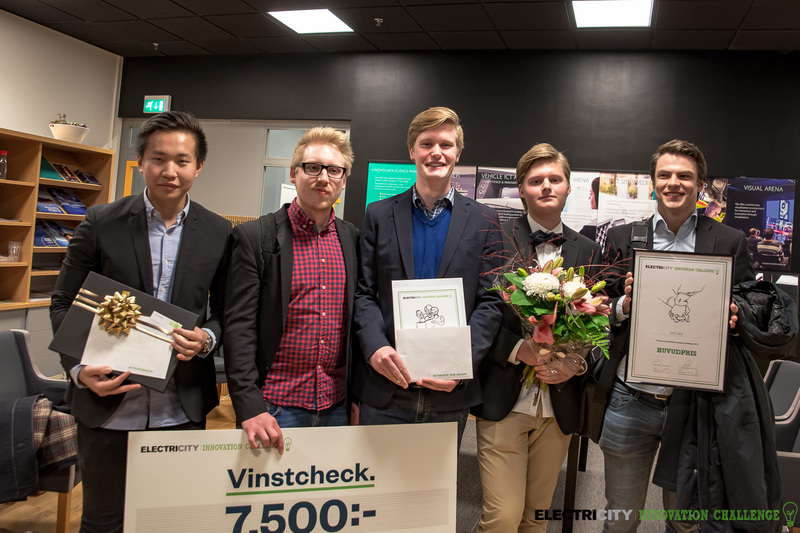 Nxplore, Lux Futura and Grupp 4 took home all five awards in Electricity Innovation Challenge 2015 despite the incredibly tough competition. 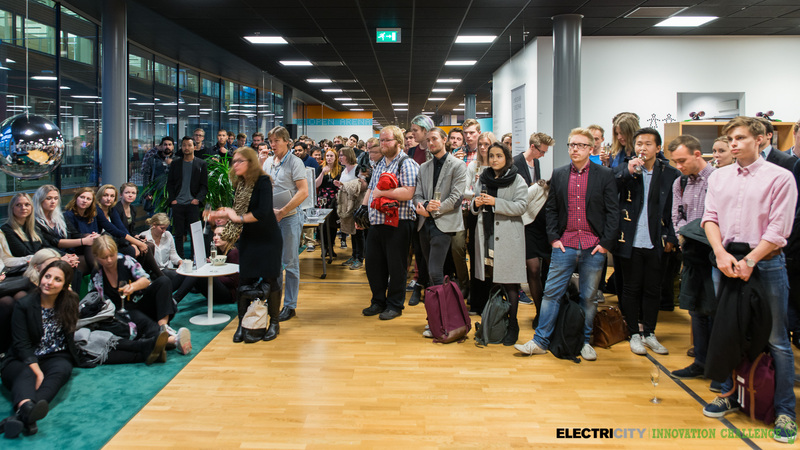 During the final day of the competition, all 48 teams had an opportunity to pitch their prototypes for one of the four parallell jury groups. 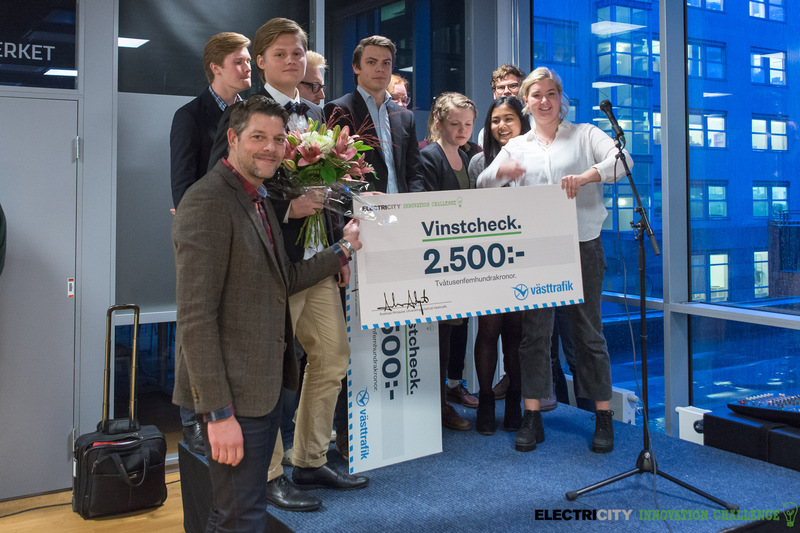 The jury consisted of representants from Viktoria Swedish ICT, Volvo Buses, Business Region Göteborg, Cybercom, Johanneberg Science Park, Lindholmen Science Park, Keolis, Göteborg Energi, SP, Västtrafik, Chalmersfastigheter, Chalmers, Akademiska Hus, IMCG, Interactive Institute Swedish ICT, Västra Götalandsregionen, BOID and Volvo Technology. An award ceremony was held at the end of the final day were the winners of the ”efficient & fun”, ”attractive bus stops” and ”bus trips for all” categories were presented. The main winner of the competition was moreover crowned and the audience award was handed out. The winning team in the 'bus trips for all” category presented an holistic solution which was well developed both in terms of design and functionality. Their contribution moreover addressed a clearly presented problem description that was based on a thorough analysis of the target group's needs. The team intends to make it easier for children to use public transport on their own. Therefore, their goal was to increase the sense of safety for both the children and their parents during every step of the public transport journey. This was accomplish in a very convincing manner. The team’s contribution connects the child and their parent remotely in real time. Thus, the jury believes that the contribution has potential to make it easier for children to use public transport. All ten contest entries in the ”bus trips for all” category can be viewed here. The winning contribution in the “attractive bus stops” category is a contribution that the jury believes address one of the main barriers that currently prevents more people from choosing public transport - namely the sense of safety at bus stops. 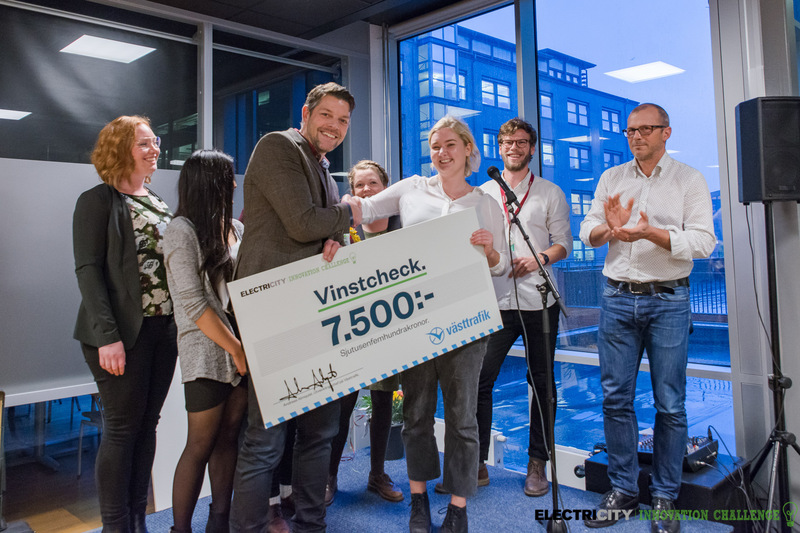 The winning contribution is a feasible solution based on existing technologies that also utilize the real time possibilities that ElectriCity offers. With help of dynamic light, this contribution creates a safe and vibrant environment in and around the bus stops. The dynamic light, which is affected both by whether someone is in the vicinity of the bus stop and by the buses location along the bus route, has potential to make tomorrow bus stops more attractive, both from a safety perspective and from the perspective that the public transport user feels confident that she will catch the bus. 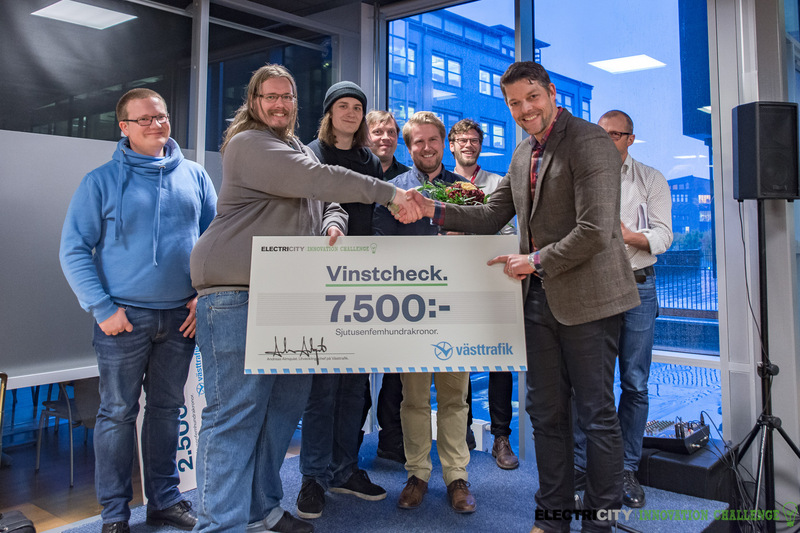 Thus, the jury is convinced that the entry has potential to attract users who currently believe that it is unsafe and/or stressful to use public transport. All eleven contest entries in the ”attractive bus stops” category can be viewed here. The winning contribution aids public transport passengers in exploring the city. Updated information regarding points of interest is cleverly identified and beautifully presented for public transport users. The winning contribution has local relevance and global potential, which has impressed the jury. In addition, the prototype is incredibly well developed and conspicuous. All 29 contest entries in the ”efficient & fun” category can be viewed here. All the 48 teams that participated in the final exhibition had the opportunity to put one vote for those of the other competing teams that they thought had the best entry. 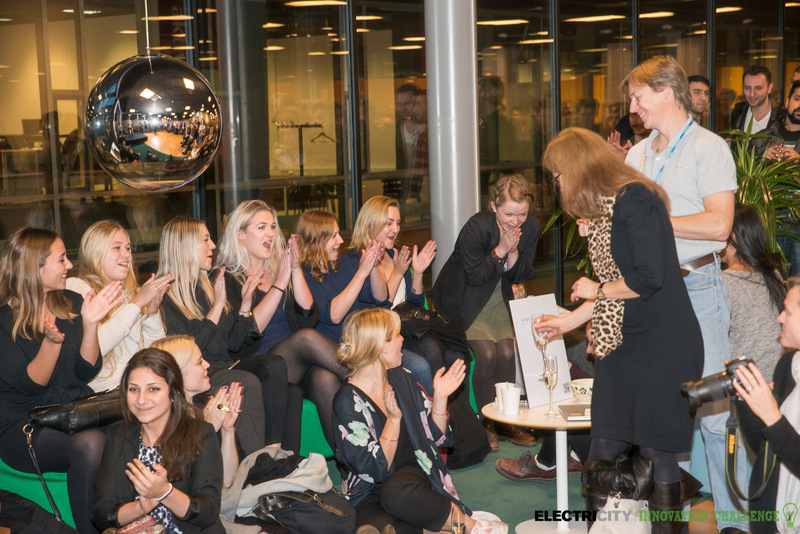 Hence, the teams jointly appointed Nxplore and Lux Futura as split winners of the ”audience award". 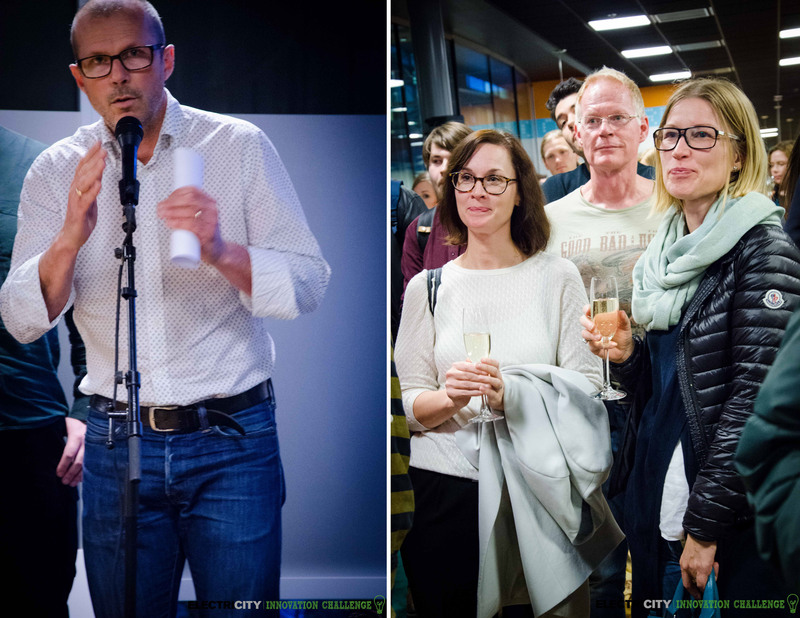 The audience award consisted of vouchers from Västtrafik to a value of 2500 SEK. The winner of the main prize has presented a contribution that has local relevance and global potential. In addition, the team has during their presentation demonstrated that the solution is close to market entry and that they have a credible implementation plan. 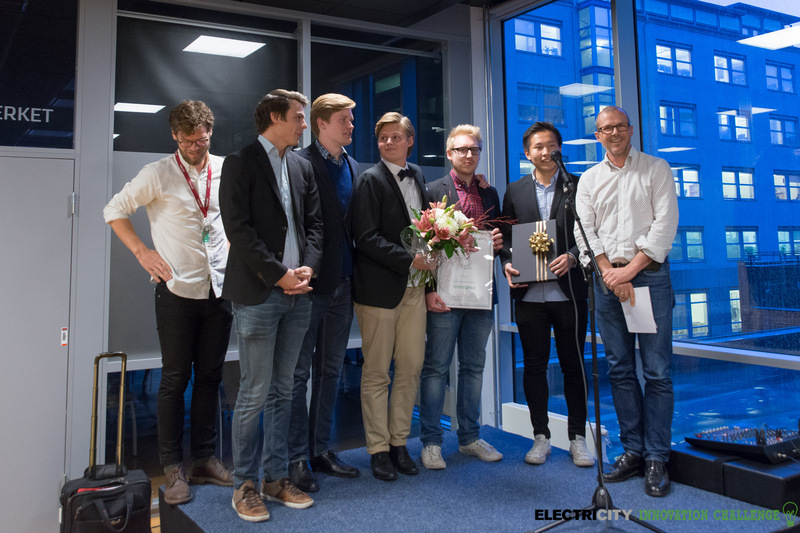 Therefore, the jury joyfully announce the Nxplore team as main winner of the Electricity Innovation Challenge 2015 and are looking forward to follow their path towards demonstration and realization of their project. Office space at Johanneberg Science Park, with the support of Chalmersfastigheter.